Leigh Ann Hurst never intended on becoming a jewelry designer and it is through the originality and distinction of her custom pieces that the beauty of the jewelry is reflected. 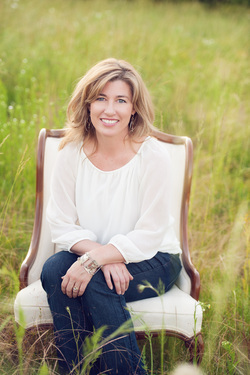 Beginning in the mid 80’s with a degree in Interior Furnishings and Equipment from Auburn University and fast forwarding to present day, she has always had a love for artisan design. Her inspiration comes from the clean lines and designs of Frank Lloyd Wright as well as the jewelry designs from the modernist period of the 1930’s through the 1960’s. With the exception of a few weekend workshops, Leigh Ann is self taught in metalsmithing and jewelry design. She seamlessly blends sterling silver, copper, brass, and gold-filled metals to create unique art jewelry that is as pleasing to the eye as it is comfortable to wear. Semi-precious stones and leather are sometimes used adding visual interest and texture. Each piece of Jewelry is handcrafted by the artist in her studio in Decatur, Alabama. Leigh Ann credits her mother for encouraging her to pursue this new direction in design. This new journey has become her passion and is evident in her evolving art jewelry designs.